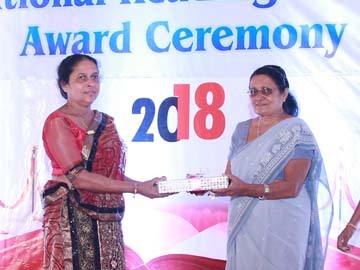 Development of research in any field is very instrumental for the development of the respective fields. The main advantage of the conducting research is the generation of new knowledge which is important for education and development. 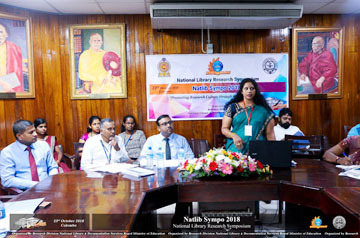 To fulfill that responsibility, Library Research Division will be organizing Annual National Library Research Symposium in this year. 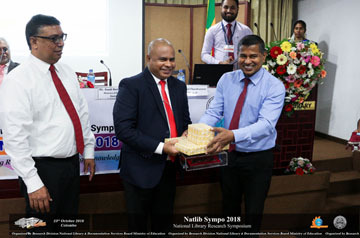 This symposium will provide an excellent opportunity to discuss of the cutting–edge issues relating to the fields of Library & Information Science and Social Sciences. It will be an ideal platform for networking and socialization among researchers, academics, professionals and graduate & postgraduate students in the relevant fields. 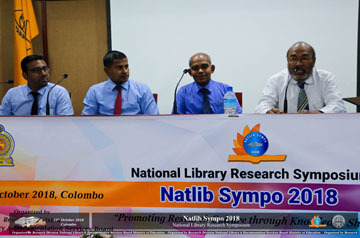 A major outcome from this Symposium will be creating an evaluation of the Library, Information and Documentation field. 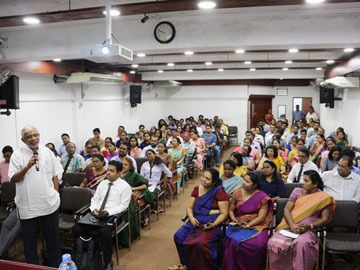 Gathering a pool of academics, professionals, researchers and students to share and discuss concepts, breakthroughs, and innovations that will positively reinforce the functionality of libraries. 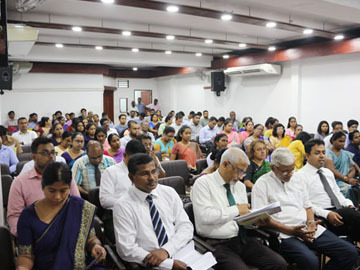 Promote the Library, Documentation and Information Services in Sri Lanka and will be an evaluation of professional standards for such services. To generate a new knowledge in the field of Information Science & Technology and assist in the use of new technologies in the field of library science, documentation and information service. “Library, Information and Documentation in a Context of Transformation"
Cataloguing, Classification and Indexing in the Modern Context. Cloud Computing and Data Migration. 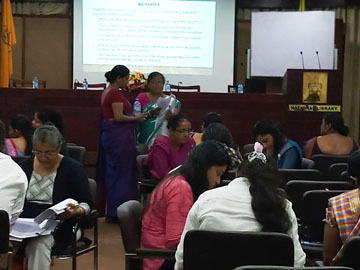 Adaptation of International Standards in the Field of Library and Information Science. 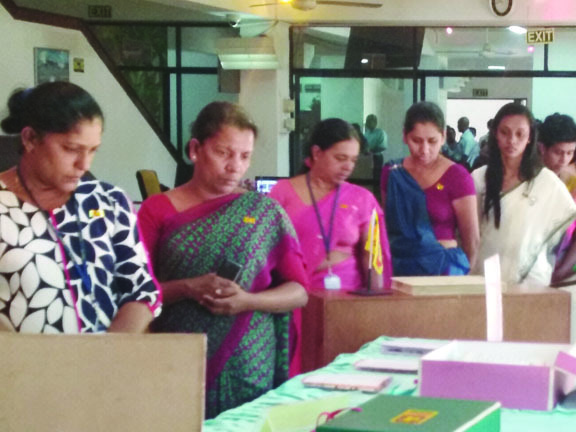 Impact of Library Automation and Digitalization on Library Services. 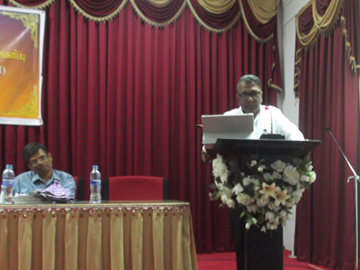 The Role of Archives, Museums and National Library in Sri Lanka. Creating Research Culture in Academic Libraries. 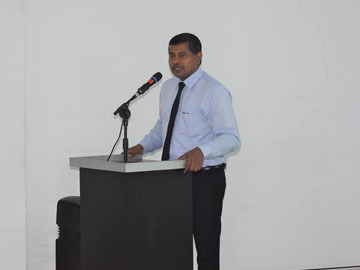 The Importance of Policy Formulation in ICT. 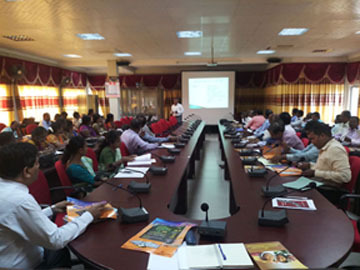 Development of Community Information Services through Public Libraries. Digital Resource Management and Challenges. 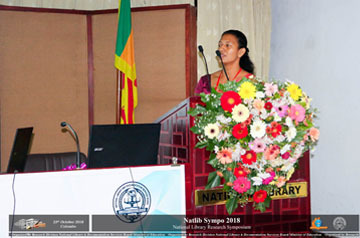 Natlib Sympo 2019 accepts both full papers and abstracts. 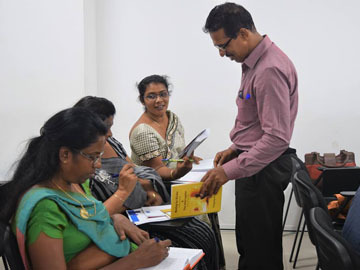 We accept manuscripts written in English, Sinhala and Tamil. 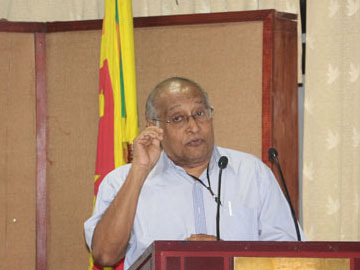 Those who wish to submit their full papers in Sinhala or Tamil should attach a separate abstract in English. Authors are kindly invited to send their abstracts and article/Full paper as an electronic copy to the symposium email. The content of the papers should be corrected for any linguistic/grammatical errors before submission. All submissions to the symposium will be reviewed by independent review panel and we will remove author identifying information before manuscripts are sent to reviewers. Checking the anti-plagiarism and any paper that infringe the intellectual property rights will be rejected. 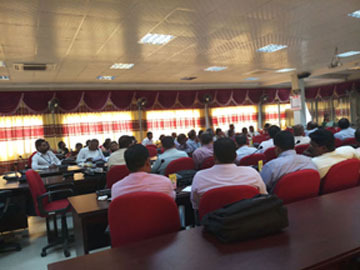 Only the accepted papers will be published and released on the first day of the Conference. 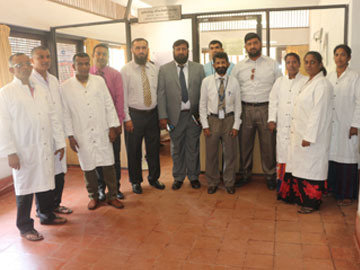 Author details: Top of the abstract contain the title, name(s) of author(s) & institutional affiliation(s) and include the Biography (author(s) name, affiliation(s), designation, and email address, contact number of the corresponding author) bottom of the abstract. The presenting author’s name should be underlined. * An abstract template is attached below and use that format for writing your abstract. Please follow the instructions carefully. Please note that abstracts that are not prepared according to the guidelines provided, or are submitted after the deadline, will not be considered for review. The Editorial Committee reserves the right to make alterations to the text of the abstract in order to improve its quality. Page limit : Maximum 6 pages including all figures, tables, references, and appendixes. The structure of the papers : Should include Introduction, Research questions/Objectives, Methodology, Results and Discussion, Conclusion and Recommendations with related references. Sub-headings : Should be bold and placed at the left-hand margin, one double space below the previous section. Tables and figures : Any tables or figures must be numbered, mention the title of the table(s)/figure(s) and have captions at the top. If the data were extracted from other sources, please denote the source courtesy immediately below the table. Figures should be clear and black & white colour. The figures are preferred to be in greyscale that has a clear distinction between adjacent areas and labels. Referencing style : APA 6th edition to be followed. 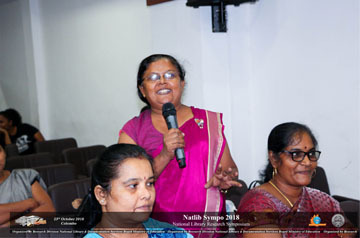 Every Registration includes admission to the Inaugural & all Conference-Sessions, Running Lunches, Refreshment (Morning & Afternoon), Conference Kit with Proceedings and the Certificate of Presentation/Participation. Let's spread the world-wide peace activities in Sri Lanka and Let's be a peace messenger in Sri Lanka with HWPL! Your first step will be a large step to make a realistic peace beyond all struggles in your society. 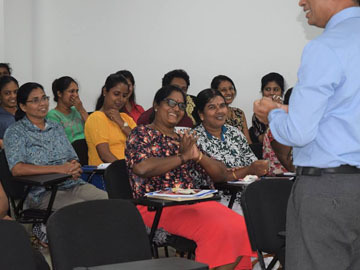 You can easily join peace activities in the public library of Sri Lanka, Join now! 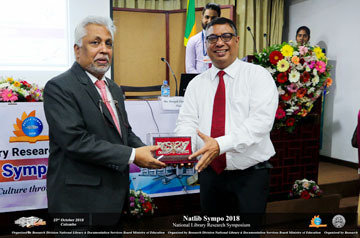 National Library Review is a journal on Library and information Science published by the National Library and Documentation Services Board, Sri Lanka. 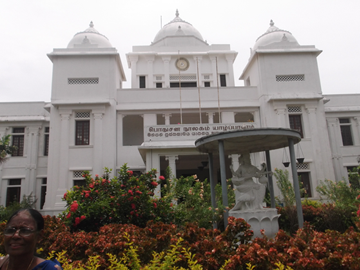 This journal consists of articles on library and information science in Sinhala, Tamil and English languages. The journal is useful for librarians, library science students as well as general readers who are interested in Information Technology and Mass Communication. Title: Title of the paper shall explicitly indicate the focus of the research work. Following the title, please include the name, affiliation and email. The number of words in the title should be confined to 8-10 words. Number of keywords should not be more than five. Abstract: Abstract should be informative and not more than 200 words for full papers. Length of Article: Maximum length of the article should be drafted with a word count not more than 2000 Words. 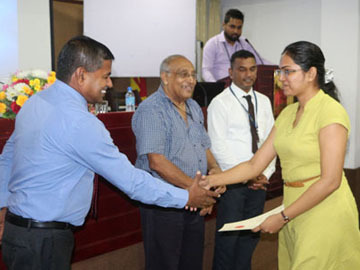 Style: The paper shall be in MS-Word format with font type- Times New Roman, fonts size -12 pts, and line space – 1.5 for Sinhala use FM Abhaya and Tamil language use Bamini or Baamini and also article should follow the Harvard Referencing System. 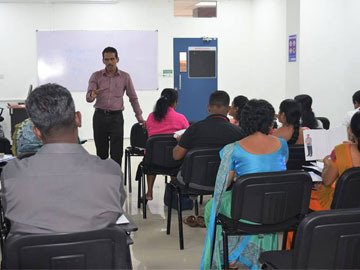 Medium of Articles: The articles can be accepted in Sinhala, Tamil and English. 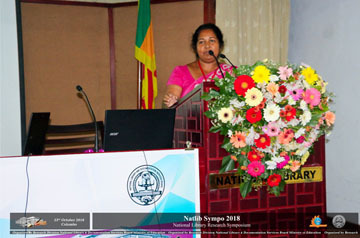 Those who wish to submit their articles in Sinhala or Tamil, should attach a separate abstract in English. The second page of the article should contain only the title of the article and an abstract of about 150-200 word. The text of the article should begin with the title, and must not contain the author’s name(s). This is to ensure anonymity during the review process. Tables, Figures and illustrations: Tables, figures and illustrations should be provided on separate sheets clearly and systematically, and their position noted in the text. Accuracy of Material: It is the responsibility of the author to check the accuracy of all data, statements and references. Copyright: It is a condition of publication that articles submitted for the journal have not been published, accepted for publication elsewhere. By submitting an article, the author(s) agree that copyright for the article is transferred to the publisher, if and when the article is accepted for publication. Library is a collection of sources of information and similar resources, made accessible to a defined community for reference or borrowing. It provides physical or digital access to material, and may be a physical building or room, or a virtual space, or both. 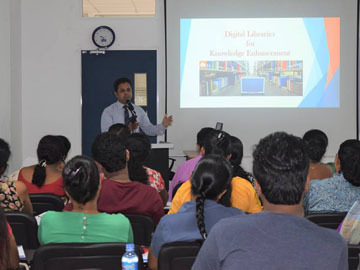 Modern libraries are increasingly being redefined as places to get unrestricted access to information in many formats and from many sources. 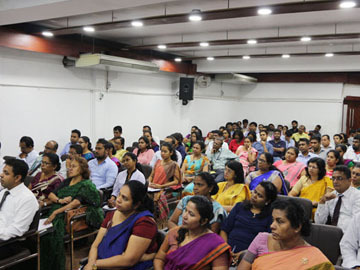 They are extending services beyond the physical walls of a building, by providing material accessible by electronic means, and by providing the assistance of librarians in navigating and analyzing very large amounts of information with a variety of digital resources. 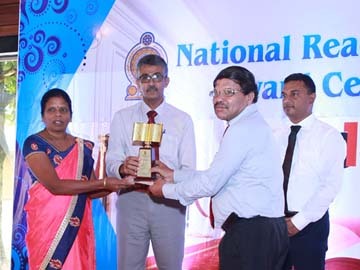 One of the main objective is to provide the information in library field, National Library and Documentation Services Board Research Division will be plan to prepare a Library Directory in Sri Lanka. Directory information like this has an important role to play in Library field. 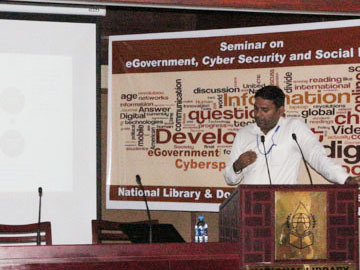 It is very useful for Professionals, Academic, Policy Makers, Researchers and Authors to get reliable information. 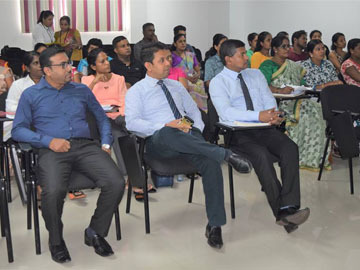 Collecting reliable data from various range of institutions/authorities in Sri Lanka, Such as public libraries, academic libraries, special libraries, government & non-government libraries, research libraries and private libraries. 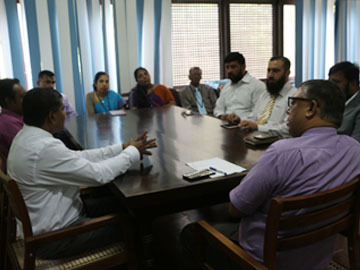 We look forward your institution/organization support to fulfill this task. The completed Application form should be sent to Head, Research Division, National Library and Documentation Services Board by Registered Post or as a Excel Data Sheet via Email on or before 15th of March, 2019. 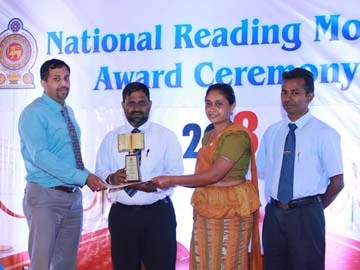 National Reading Month Award Ceremony 2018 was held on 13th of December 2018 at "Ape Gama" premises. 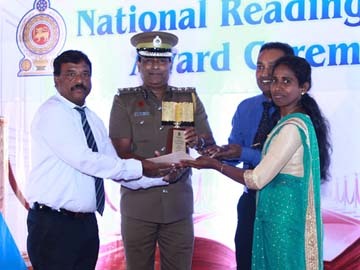 More than 300 librarians and local government officials were participated for this occasion. 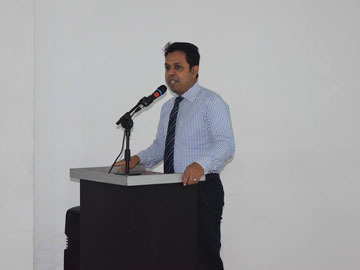 Dr.Sunil Wijesiriwardhana participated as the chief guest. 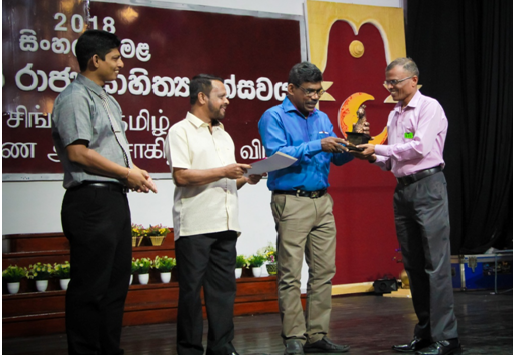 Uva Provincial State Literary festival-2018 (Sinhala and Tamil) was held on 12th November 2018 at the auditorium of Uva Provincial Library Services Board (UPLSB). 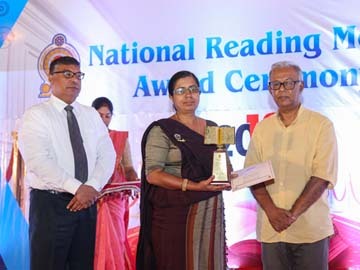 An awarded on the Provincial state award an excellent book of miscellaneous subject of the year 2017, is development on Provincial Central Libraries (Plath Madhya Pusthakala Sanvardhanaya) written by Mr. Wijaya Premadarshana, Assistant Director of NLDSB, and it is published by National Library and Documentation Services Board. 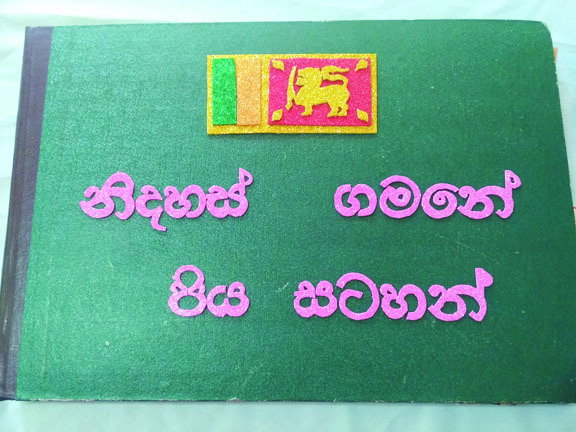 This is the first evaluated under Library and Information Science subject (Sinhala) book of Sri Lankan history, and another thing work on a board publication as well as who written by officer’s of the staff of NLDSB. 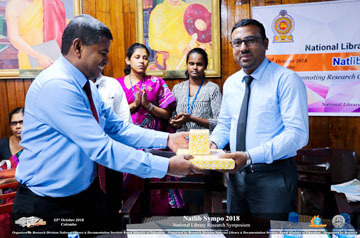 Mr.Ariya B. Rekawa governor of Uva Province and Mr. Chamara Sampath Dsanayake, chief Minister of Uva Province were took place as the chief guests in that inauguration ceremony, and the function has organized by UPLSB and Ministry of Uva Provicial Education. 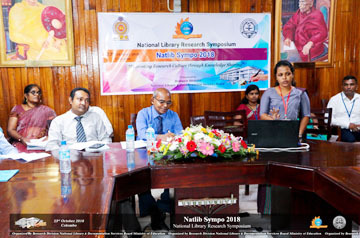 NLDSB Research Division had organized the National Library Research Symposium (Natlib Sympo 2018) is another activity carried out by NLDSB for the promotion of library research. 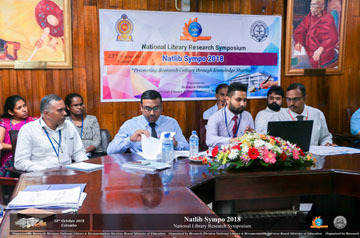 The objective of this symposium is to provide an opportunity for the library professionals to present their research papers and also to encourage them to conduct further research in the library and information science field. 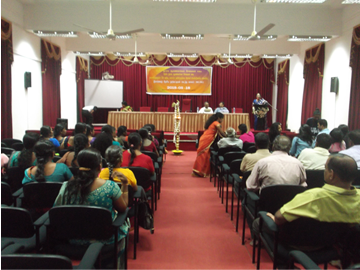 This year, the theme of the symposium is “Promoting Research Culture through Knowledge Sharing”. 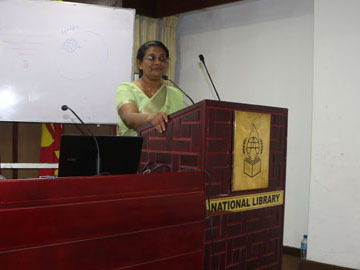 It is helpful in NLDSB’s effort to create a research culture in library field in Sri Lanka. 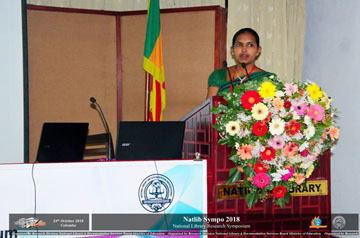 Professionals, academics and researchers in the field of Library and Information Science and Social Sciences (20 presentations & over 75 participants) were participated from various regions in Sri Lanka in this time. 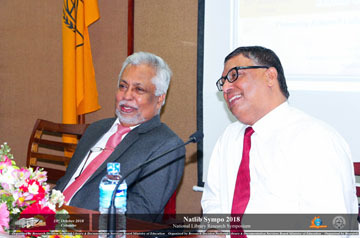 Seminar on E-Government, Cyber Security and Social Media for information professionals and management heads in government organizations of Sri Lanka was held on 16th October 2018 at NLDSB main auditorium. 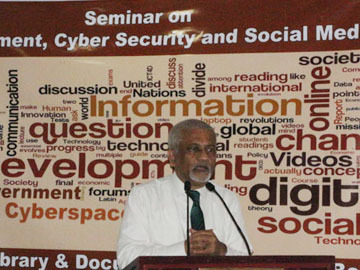 Prof. Rohan Samarajiva, Chairman, Information and Communication Technology Agency of Sri Lanka, Mr. Wasantha Deshapriya, Former Secretary, Ministry of Telecommunication and Digital Infrastructure, Mr. Nalaka Gunawardene, Journalist and Science Writer, Dr. Kanishka Karunasena, Research and Policy Development Specialist, Sri Lanka Computer Emergency Readiness Team | Coordination Centre (Sri Lanka CERT) served as resource persons of the seminar. 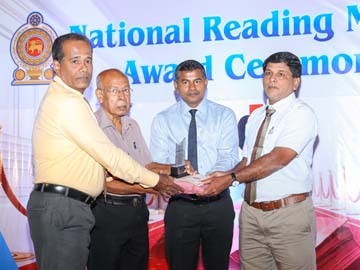 The month of October has been declared as the National Reading Month by the National Library and Documentation Services Board (NLDSB). 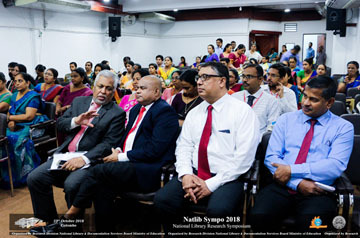 In relation to this NLDSB has decided to offer one-year free membership of the National Library to the Sri Lankan readers during the National Reading Month in October 2018. 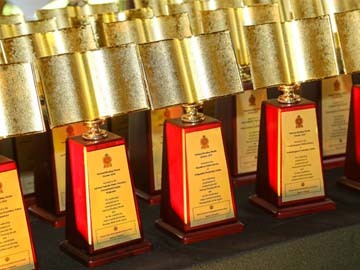 Many university academics, researchers, journalists, university students and many more make use of this opportunity. 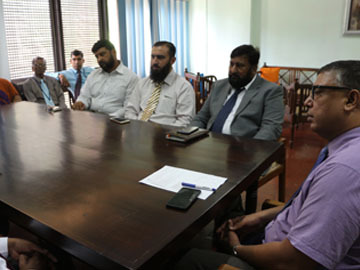 President of the Pakistan Library Association (PLA) Dr. Saeed Ullah Jan, Zeelshan Ullah, Assistant Secretary General and Zakria, General Secretary of the Pakistan Library Association visited the National Library of Sri Lanka on 07th of August 2018. 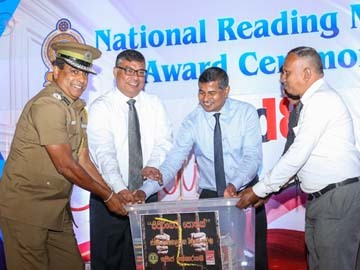 Chairman, Director General and other senior staff of the National Library were joined that occasion. 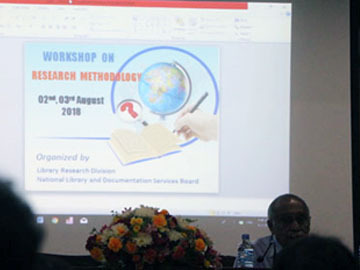 Two days’ workshop on Research Methodology was held on 02nd & 3rd August 2018 at NLDSB main auditorium organized by Research Division. 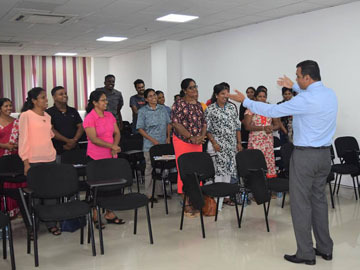 The workshop focused to professionals, academics and researchers in the field of Library and Information Science & Social Sciences to gain experience and generate a new knowledge in the field. 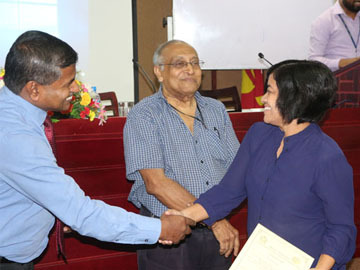 Prof. K. A. P. Siddhisena, Emeritus professor of the Department of Demography in University of Colombo, Dr. Wathmanel Senevirathne, Librarian in Open University & Dr. Sunethra J. Perera, Senior lecturer of Department of Demography in University of Colombo served as the resource persons of the Workshop. 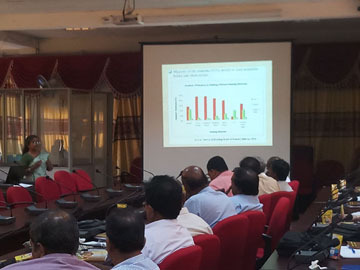 The officers, professionals & researchers in different type of fields have participated to the workshop. 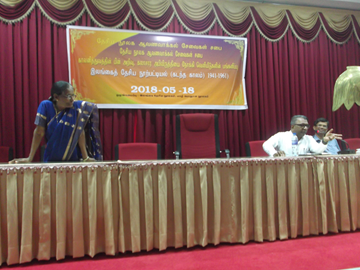 National Library and Documentation Services Board conducted a seminar on the contribution of the book publishing for the reawakening of intellectual culture post-colonial period with special reference to Sri Lanka National Bibliography (retrospective) 1941-1961 (Tamil medium) on 18.05.2018 at the Jaffna Public Library. 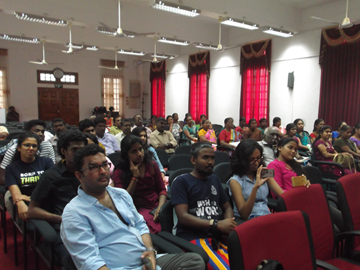 About 50 public librarians, authors, publishers and students participated the seminar. 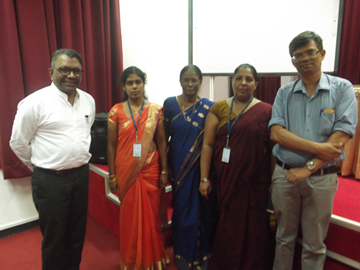 Dr. Suren Raghawan, Mr. Swaminathan Wimal and Miss K. Kamalambikai served as resource persons. 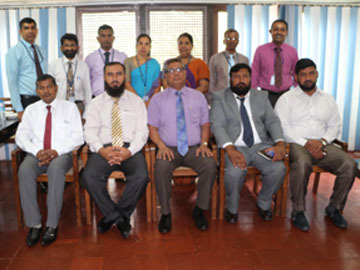 National Library and Documentation Services Board (NLDSB) and Information Communication Technology Agency (ICTA) Sri Lanka jointly organize a three-day training programme in Esoft Metro Campus Training Centre, Bambalapitiya from 30th May to 1st June 2018. 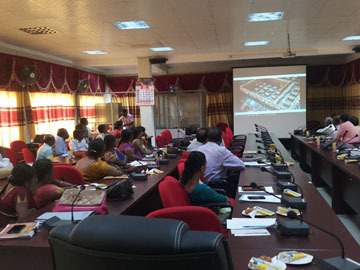 Public library staff of the Digital Library Project are participated for the programme. 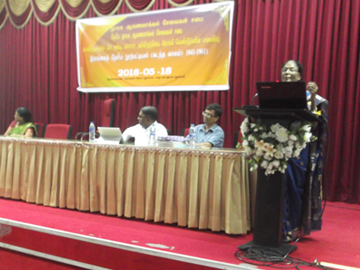 National Library and Documentation Services (NLDSB) organises two seminars in Jaffna on 18th May 2018. 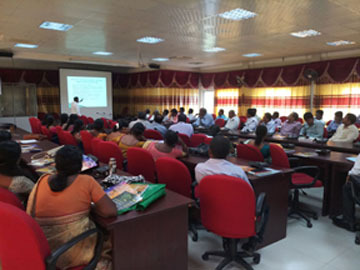 One seminar is on the reading habit survey of school children in Northern and Eastern Provinces which is organised in Jaffna Zonal Education office for the officers involved in education field in Northern Province. 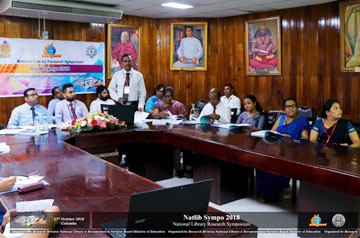 The other seminar is on the contribution of the book publishing for the reawakening of intellectual culture in post-colonial period with special reference the Sri Lanka National Bibliography (retrospective) Tamil medium. 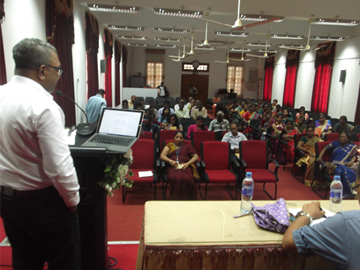 This seminar is conducted in Jaffna Public Library for the public librarians, authors, publishers and students. 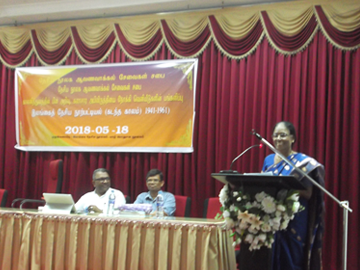 The Bandaranaike Centre for International Studies (BCIS) library and Information Centre in partnership with Sri Lanka National Library and Documentation Services Board is organizing a “Workshop on Right to Information Act: The Role and Contribution of a Librarian” on Wednesday 16th May 2018 from 09:30a.m. to 03:45p.m. 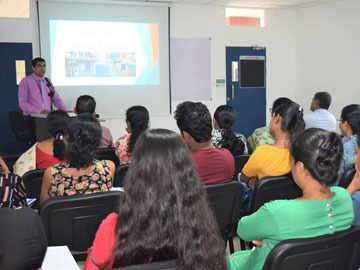 Room 105 Atlantis at the BCIS to create awareness on the role and contribution of librarians under the recently implemented Right to Information Act . 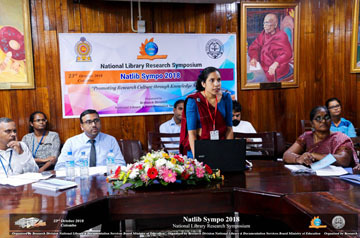 As the main government organization in library and information science field, National Library and Documentation Services Board (NLDSB) has a special responsibility to promote research in library and Information science field in Sri Lanka. 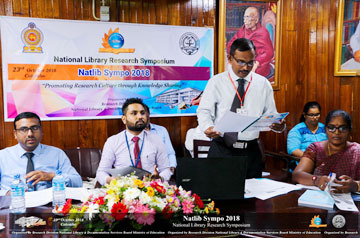 As one programme to promote research in library field, National Library and Documentation Services Board (NLDSB) has made arrangements to organize a research symposium on 26th of October 2018. 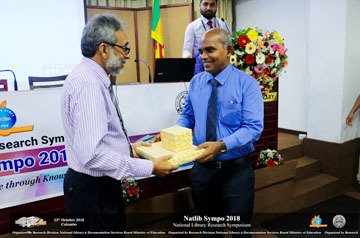 The symposium mainly concentrates on Library and Information Science professionals, academics and researchers in the field of Library and Information Science to generate a new knowledge in the field. Also we have given the preference not only to library and information science field but also to other related fields as well. 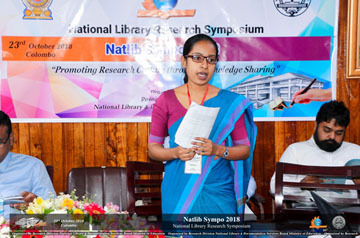 It is a good opportunity for library professionals who are interested in research in the relevant field. 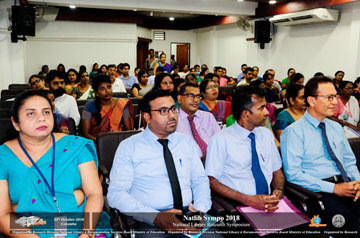 Bearing in mind the above objectives, the NLDSB intends to organize the Annual Research Symposium on the theme “Promoting Research Culture through Sharing Knowledge”. You are kindly invited to submit your abstract and full papers before the deadline given. 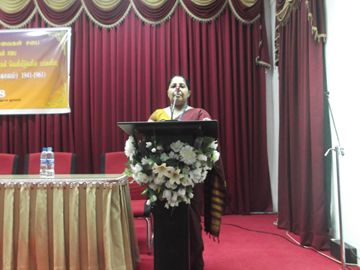 "Promoting Research Culture through Knowledge Sharing"
Authors are advised to send their manuscript as an Abstract. 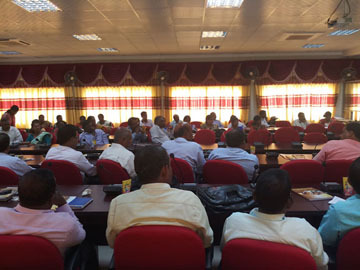 The manuscript should contain previously unpublished or unreported observation in English/ Sinhala and Tamil. Authors should address to the guidelines given below to paper their manuscript. 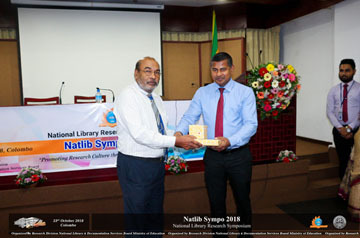 Submission of manuscript should be sent to the Library Research Division and Email. 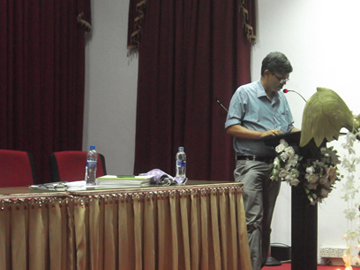 All submitted manuscript will be subject to a panel for experts. Your understanding and Corporation are highly appreciated. The proceeding will be released on the first day of the symposium. Authors must follow the instruction and format outline below while submitted manuscript. The Titles needs to be less than 15 words and in the title case. Abstract should be informative and not more than 500 words. Article should consist of at least 3000-5000 words. Article should be word processed and printed double spaced. All Graphs and Figures should be consist in Black & White colours. Don’t use multivariate colours. 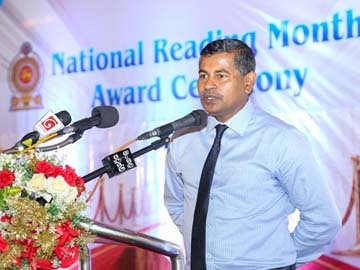 Name(s) and affiliation of author (s). Complete address, Contact Numbers and Email address with a passport size photograph. Authors are advised to adhere to APA (American Psychological Association) 6th edition style for both in – text citation and references list. 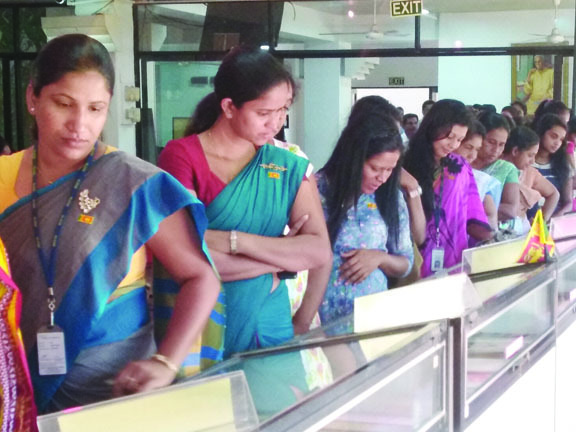 National Library has made arrangement to organise information display called “Vidarsha National Library Information Display” every month since 2018 relevant to the specific days and events. 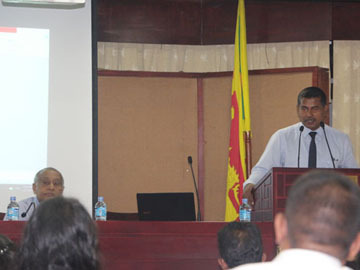 Under this programme, an information display on “Local Government” was held in January. 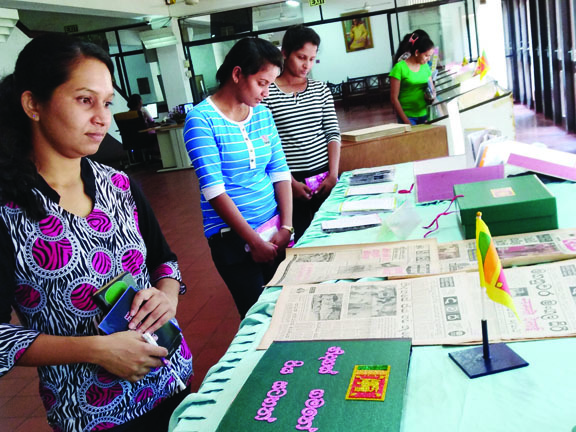 An information display on 70th independence celebration is conducted during February on the theme of “Read on Independence” at the National Library, Independence Avenue, Colombo 07. 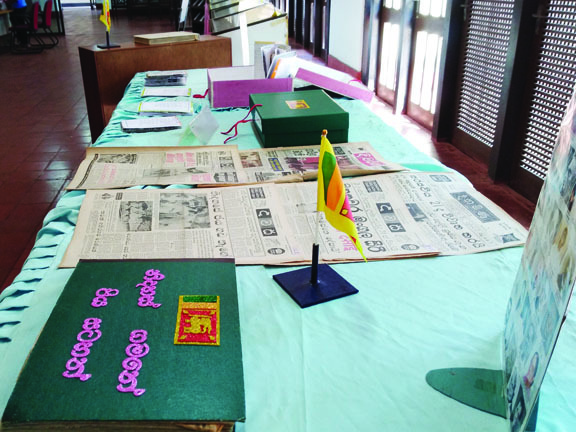 This information display includes rare and valuable information sources, historical and rare information an independence, heroes of independence struggle, independence struggle and literature, various viewpoints an independence, independence memorial ceremonies, etc..
One Sri Lankan scholars will participate in the first International Conference of Asian Cultural Dialogues that is going to be held in Iran on 13th January 2018. The prominent academics and researchers will present their articles at the conference on January 13 – 15, 2018. 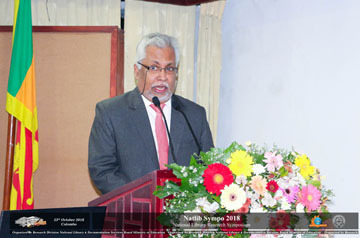 Iran’s Islamic Cultural and Relations Organization (ICRO) in cooperation with a number of Iranian universities will host the conference with the goal of laying grounds for boosting cultural, historical and social bonds among Asian nations and confronting the increasing threats of violence and extremism. 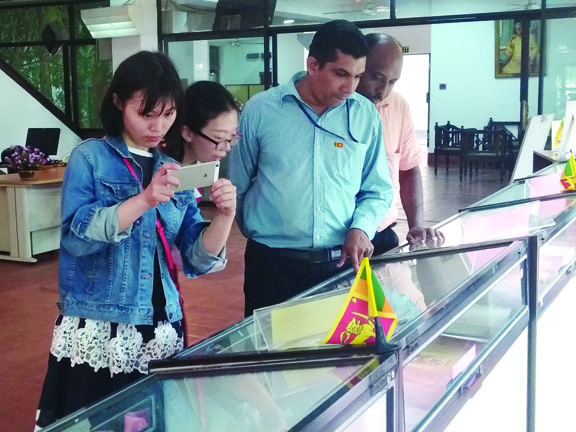 In face of the globalization process and cultural integration, the Asian countries have tried to preserve their cultural identity while welcoming the global culture and maintaining a positive engagement with it, the conference secretariat announced. 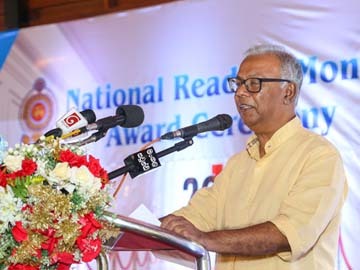 From Sri Lanka, Dr. W. A. Abeysinghe, chairman of National Library of Sri Lanka, participate in this event. 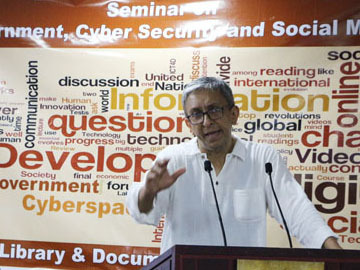 He written a paper entitled “Cultural Dialogue between Iran and sub-continent: Spirituality and Sufism” for this seminar. 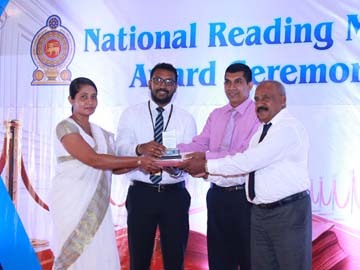 The month of October has been declared as the National Reading Month by the National Library and Documentation Services Board (NLDSB). 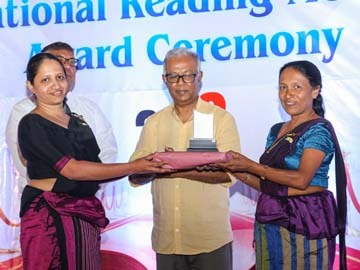 In relation to this NLDSB has decided to offer one-year free membership of the National Library to the Sri Lankan readers during the National Reading Month in October 2017. 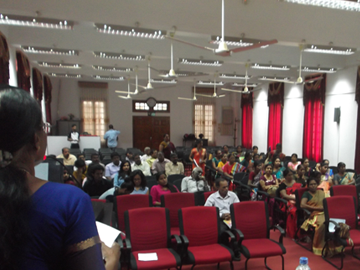 Many university academics, researchers, journalists, university students and many more make use of this opportunity. 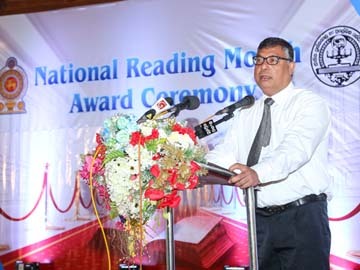 NLDSB implements various programmes to mark the National Reading Month – October every year. To mark the National Reading Month 2017, NLDSB has made arrangement to organize a walking on 02nd October 2017 from 9.00 am to 12.30 pm to make aware the public about the value of reading. The walking will be started from the NLDSB premises under the patronage of Hon. 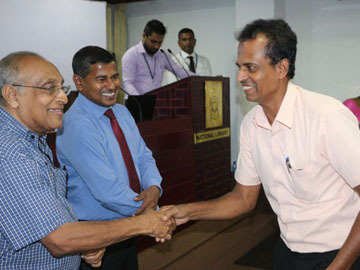 Akila Viraj Kariyawasam, Minister of Education and goes to the Colombo Public Library through Lipton roundabout and finished there after a meeting. 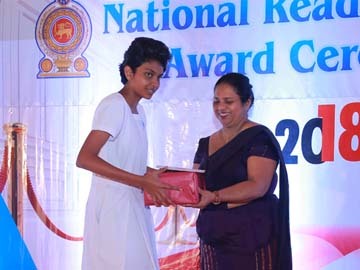 Objective of this walking is to create awareness among the people about the importance of reading.